He doesn’t need any help in that department. 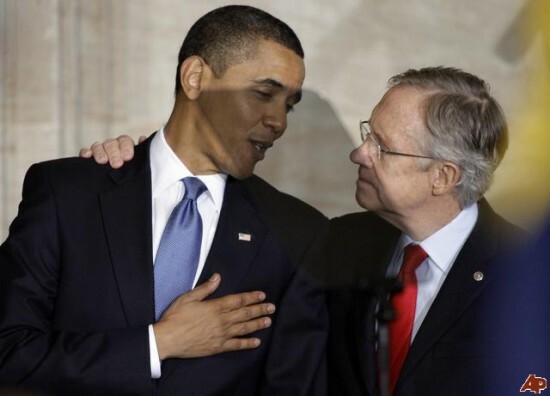 (The Hill) — Senate Majority Leader Harry Reid (D-Nev.) charged Republicans on Monday of gumming up the judicial confirmation process in order to embarrass President Obama, and said he plans to file cloture to force votes on 17 of the outstanding nominees in the near future. “People have a right under our rules to hold up the next judge in line for 30 hours . . . that will show what this is all about . . . that will show it’s an effort to embarrass the president and not take into consideration 160 million people who don’t have an ability to have their cases tried in an orderly manner,” said Reid.